This recently modernised beach house is nestled within ti-tree bushland, 100m walk to the rugged back beach sand dunes and the coastal walking tracks of Mornington Peninsula National Park. Relax in sun lounges in a private and natural space with the sound of the ocean in the background. It is a short drive from the beautiful bay beaches (less than 5 mins) and Peninsula Hot Springs (approx 5 mins), Sorrento and Portsea (approx 10mins), peninsula wineries and golf courses. Features sunfilled open plan living space with a gas heater as well as a wood fire, stylish furniture and modern deck with BBQ. There are 3 bedrooms: two rooms with queens beds + one room with two king single bunk beds. Bed linen and towels are not included, but available upon requests. In a pleasant part of Rye close to the back beach (20 minute walk, 5 minute drive), the house is a comfortable, casual abode. Clean and equipped with some nice touches (such as nice smelling body/hand washes and lotions), it is very adequate for a small family. Plenty of DVD's and PS3 games to relax with. Windows and shower could do with some attention and the BBQ, although functional, is very rusty. Not sure that there would be enough cooling options if the weather became too hot but we were comfortable. An enjoyable break away from the big city! Great house in a quiet location. It was clean and everything you needed is provided. Loved our stay and wished we could have stayed longer. Very nice house, had everything my sons and I needed. Nice quite location, close to beaches and shops. Most important close to golf courses for one of my sons. Perfect little place for a getaway! We had a great time here. It was the perfect location and house for what we needed for our long weekend away. Comfortable and clean with most things you need. The neighbor was a bit grumpy though. We had a great time! Very much enjoyed our stay at this house. 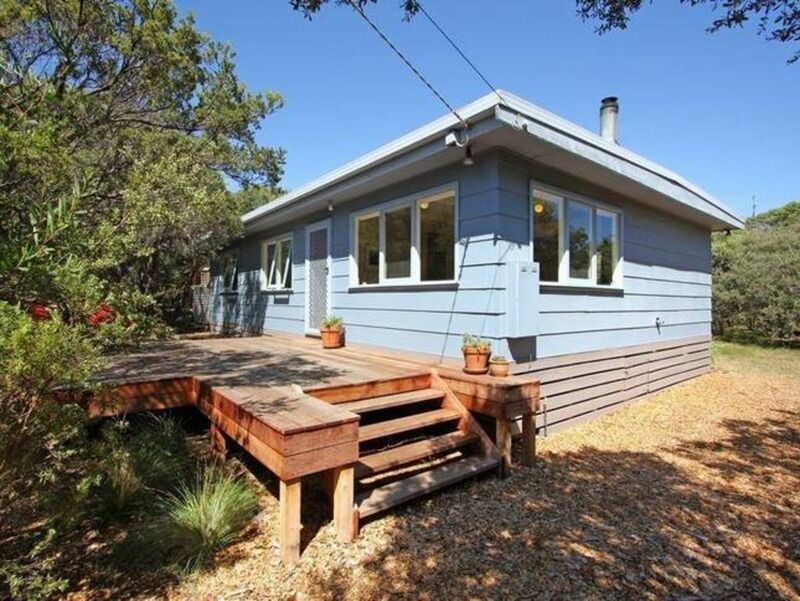 Great quiet location but easy to get to Sorrento/Portsea or Rye. The house was clean and had everything that we needed.